This posting reflects back on 2010 which was a roller coaster ride through PAZA´s darkest moments that sowed the seeds of what PAZA is today. 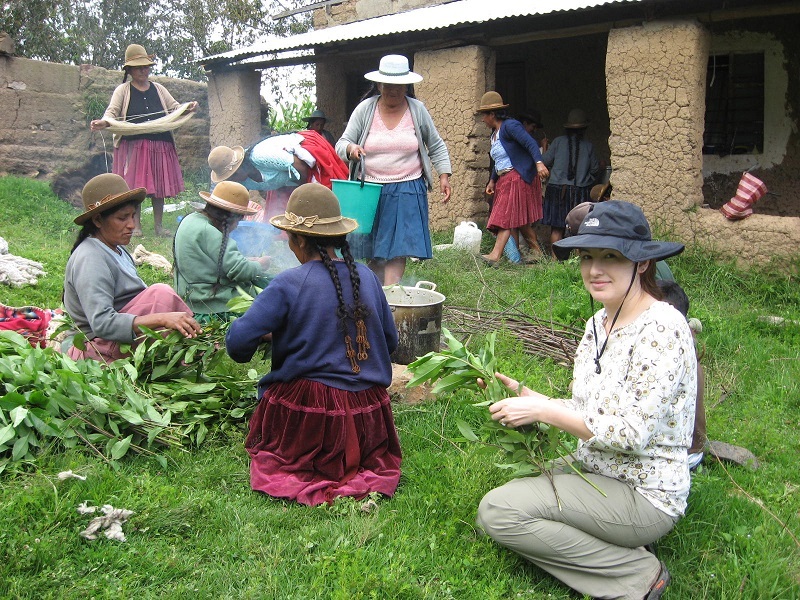 In early 2010, PAZA received a poorly typed letter stating that the gringa should leave Independencia because she was stealing the weaving tradition to take to her country. The author was never publicly identified but a few vocal women rallied to his cause. 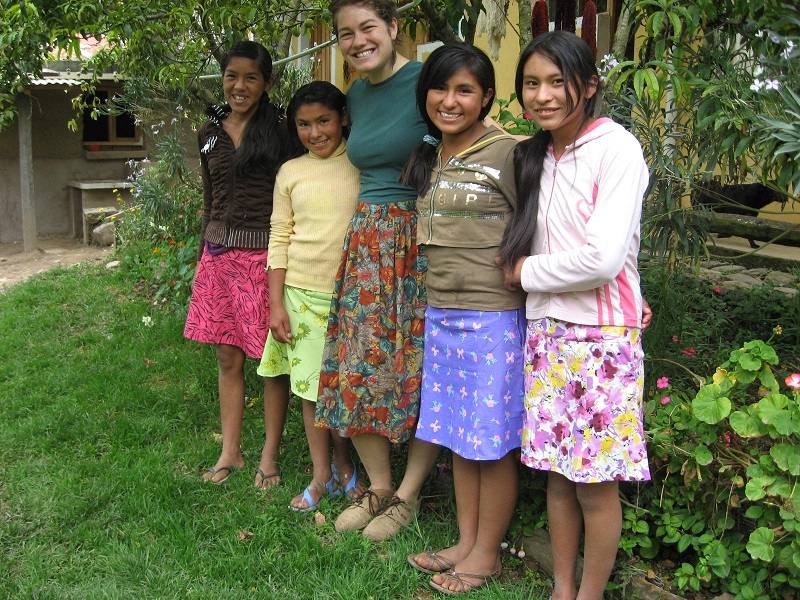 PAZA began in 2007 as a Peace Corps secondary project. 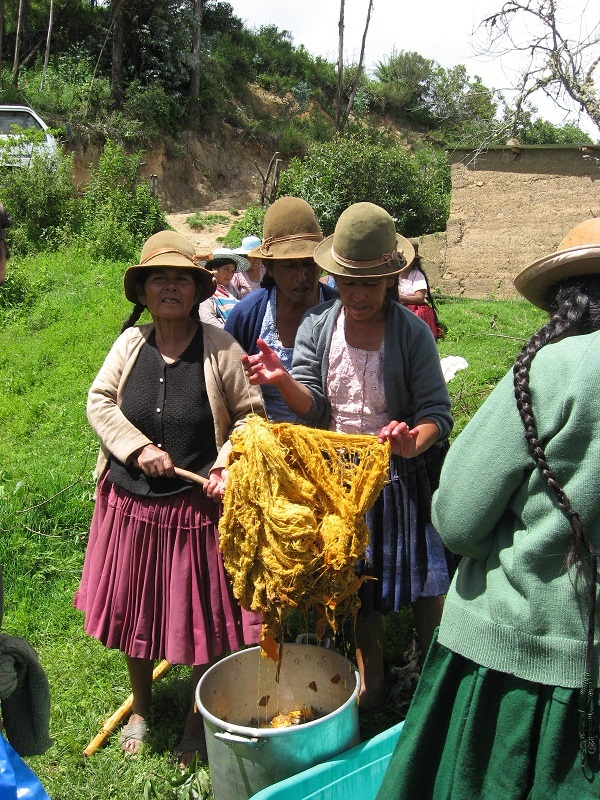 The collaboration with the local government until 2009 made it possible to offer natural dye workshops in 5 rural communities and 2 intensive 3 day natural dye workshops in Independencia. 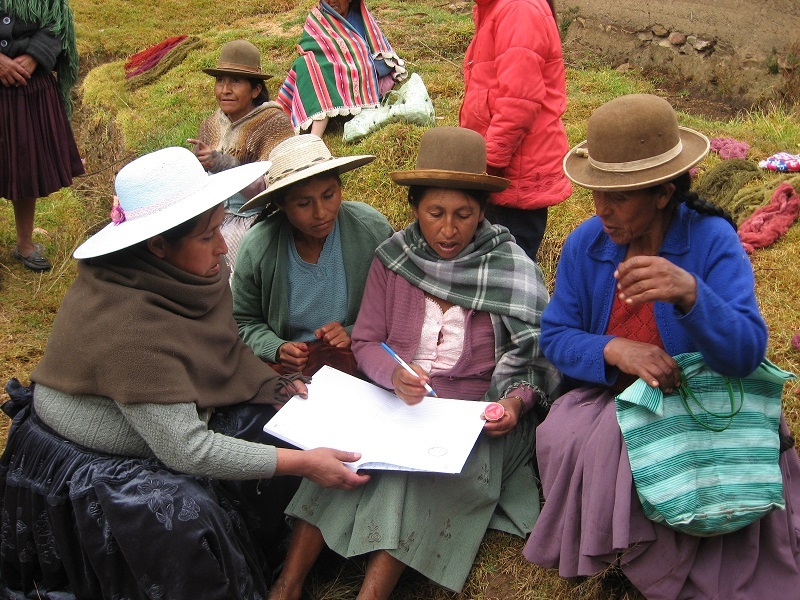 All local collaboration ended at a town meeting in October 2010 when the few contra-PAZA women who had been elected into positions of political authority stood on the stage shaking their fingers at Doña Maxima and Dorinda. They passionately exclaimed that they knew all that there was to know about traditional weavings and the market, so there was no need for PAZA’s technical assistance. 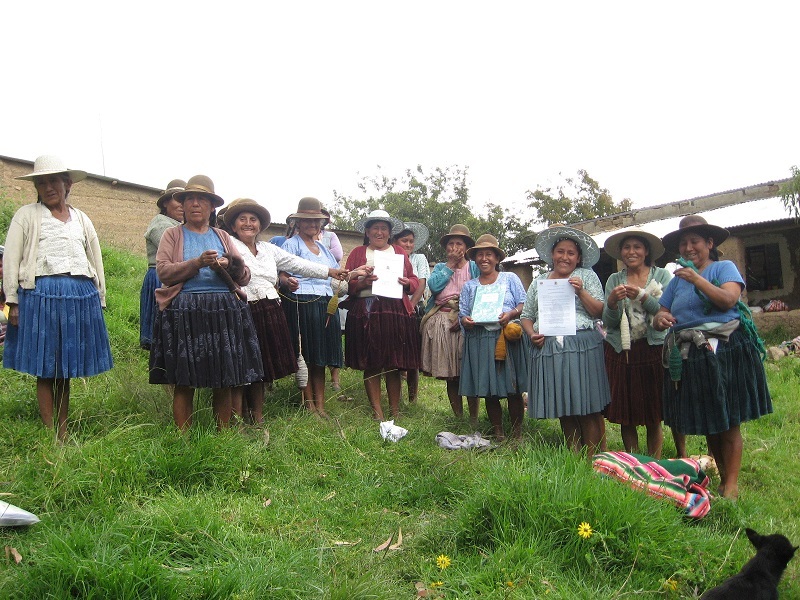 Only the weavers of Doña Maxima´s community of Huancarani stood with PAZA. They are the only rural community of weavers in the area selling their weavings today. The Huancarani weavers were going to hold a hunger strike to force local authorities to support PAZA. They were headed off by the Director of a local radio station. He suggested they form a legal weaving association to circumnavigate local politics. That led to 2 years of working through the bureaucratic red tape to form the Centro de Artesanía, Huancarani (CAH). It allows the weavers to seek financial support outside of the politically controlled municipal budget, which they’ve only done once as a training exercise. The members of CAH are responsible for setting the pricing for the weavings at their annual meeting each December. The Spinzilla Spinning competition is CAH´s biggest event of the year. 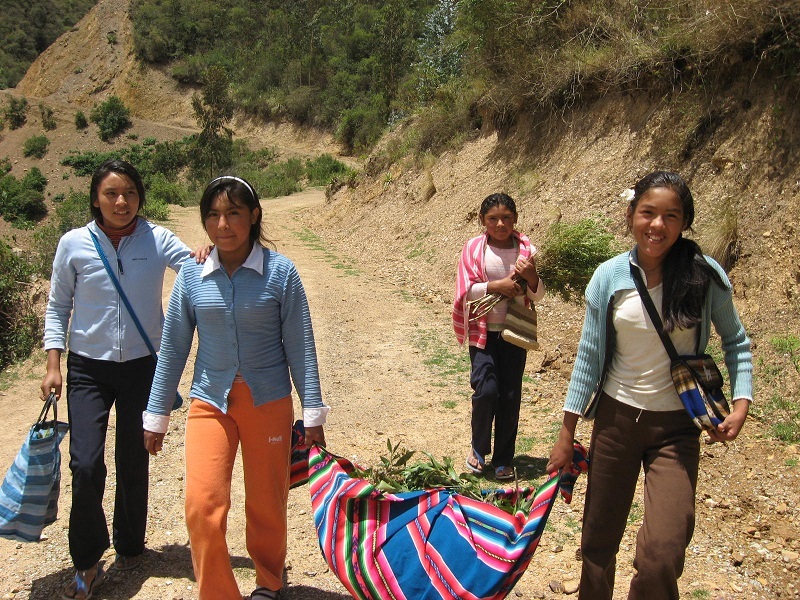 The Club de Chicas was born in 2010 out of the need to provide Doña Máxima with steady work and to help meet PAZA´s and CAH´s objective to preserve the local weaving tradition. The Club began during the school vacation, but when school started the 12 year old chicas didn´t have time to attend. Doña Máxima mentioned that women were interested in joining so several were invited to participate on Tuesdays and Thursdays. A few years later the Club name was changed to the Club de Artesanas (CdA). The original chicas learned to weave and were selling the weavings but by the time they turned 16 they had lost interest in the Club and in weaving. Motivating teens to learn how to weave is probably the biggest challenge facing any textile revival project. It is also the key to sustainability of any craft. 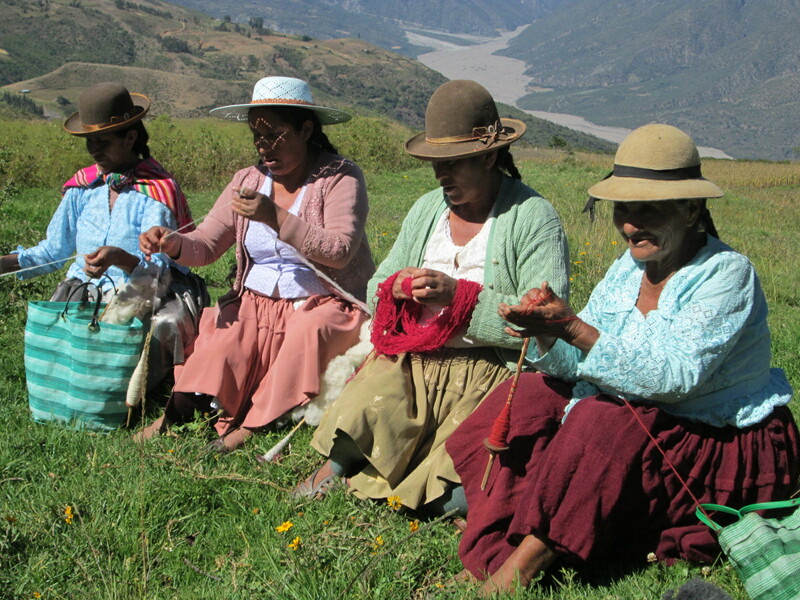 The women and chicas are highly skilled in the fiber arts, but have no resources to stretch themselves as artists. The rural communities still don´t have electricity to all homes. There are no magazines or newspapers for sale in Independencia. Few know about the postal service which is only available in the cities. Smart phones and tablets are making the Internet more accessible to youths thanks to data credit packages purchased through the cell phone companies, but the benefits for many adults are limited due to the high rate of illiteracy. The PAZA volunteer program began in 2010 to provide technical assistance. The weavers have learned new fiber arts skills but still have not seen a foreigner weave or spin. For all they know foreigners do need to steal the Andean weaving tradition to learn how to spin and weave. The CAH members have tossed down the gauntlet asking for a foreigner to join their 2016 Spinzilla team for Spinning Week which will be October 3rd to the 9th. The team has not had any inquiries for what will be an exceptional technical and cultural exchange for a foreign spinner. PAZA also needs a social media coordinator for the week to make the annual video clip. Besides providing much needed technical assistance the volunteer program helps offset PAZA expenses. PAZA has no institutional support. Fundraising efforts began in 2010 when Dorinda attended her 1st Weave a Real Peace (WARP) Conference. PAZA is supported by individuals (mainly women who are weavers) who understand the importance of helping women to help themselves so they can care for their families. 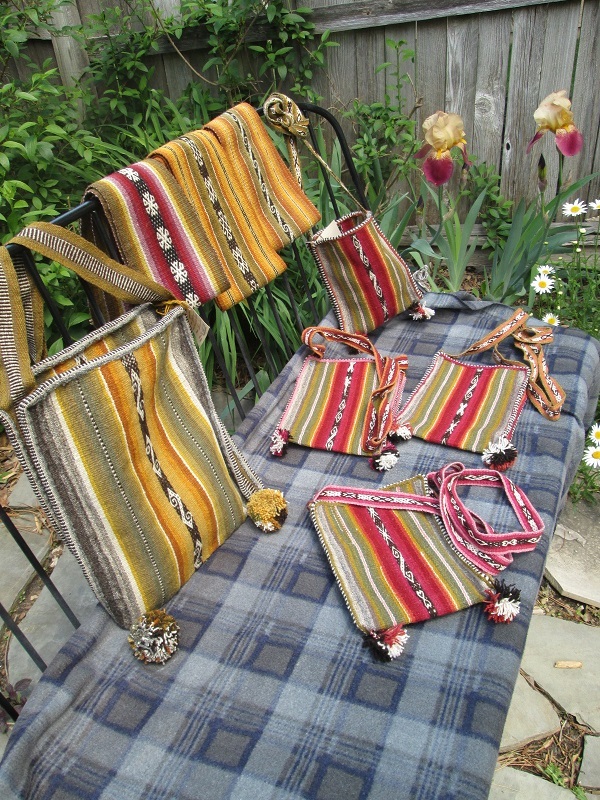 Medical costs and school supplies are the two main uses for income generated from the sales of the weavings. 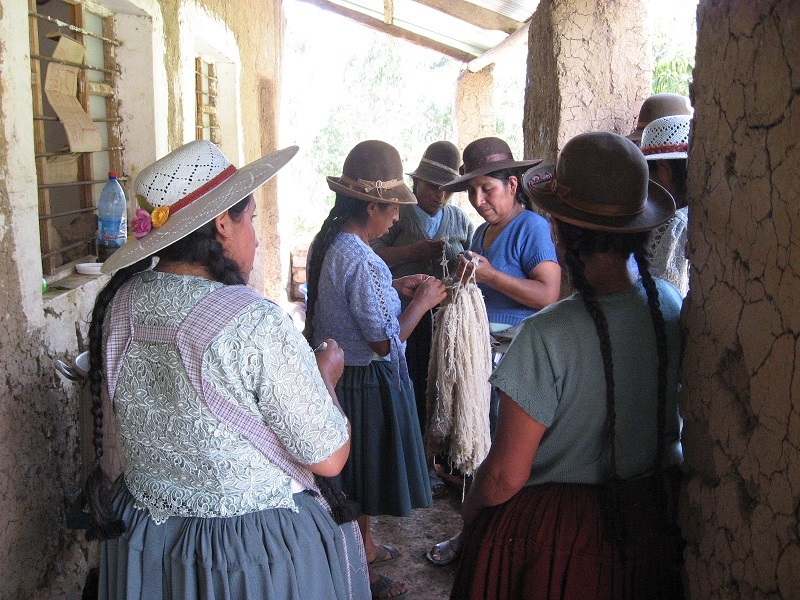 In 2010, PAZA sold 250 weavings for a total of $3,464 that went to 55 weavers in 9 communities. 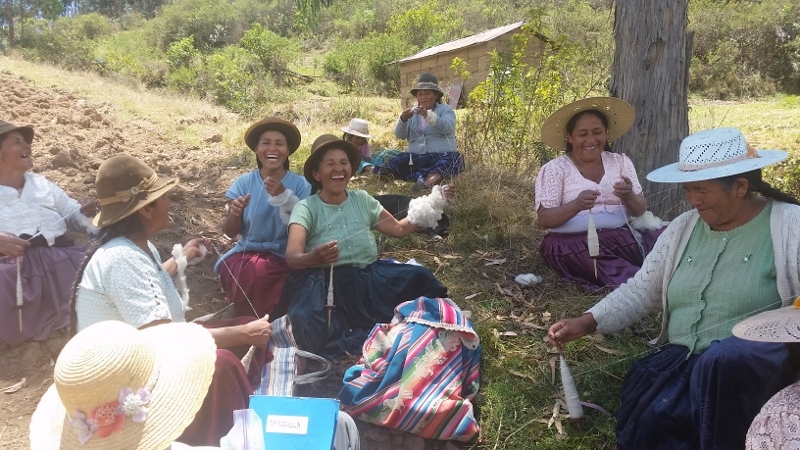 Last year PAZA sold 123 weavings for a total of $2,583 that went to 26 weavers of which 24 live in Huancarani or are members of the Club de Artesanas. Thanks to Laverne Waddington’s annual and additional orders and WARP member Susan Weltman’s February visit and order PAZA has already exceeded the 2015 sales by $300. The saddest thing about the 2010 political brou-ha-ha is that the folly of a few was detrimental to the preservation of the weaving tradition and to all the weavers who could have been earning an income through the years. PAZA hopes that local collaboration will begin anew in the near future. The past years have been well spent training women who can take leadership roles when that day arrives. P.S. I am in the U.S. and am filling weaving orders from the U.S. inventory, please e-mail inquiries to dkdutcher@hotmail.com. Thanks for the words of comfort! My father is hale and hearty following 3 heart procedures and my mother has a new hip. Doña Máxima is doing an excellent job of keeping the CdA running and managing weaving orders in Independencia.